Click on any image on this page to see a larger image. NMM 9918. Gong Ageng in Laras Slendro. 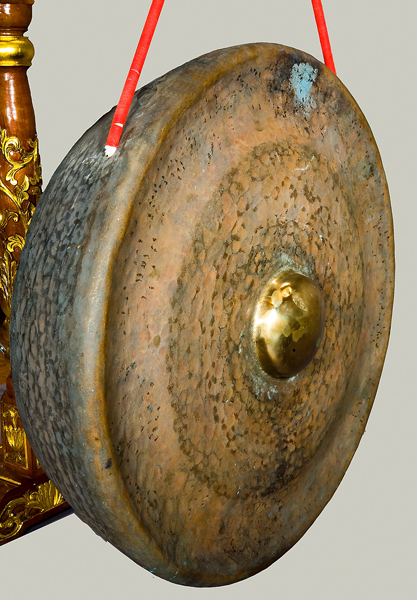 Large bronze gong with strong, thick cord through two holes in the rim. Diameter (backside): 79 cm. Three-piece stand shared by 9919. Teakwood stand decorated with nagas (dragons) wearing crowns ("dragon king") and flower and leaf pattern covered in gold leaf (view close-up of carving on stand leg). 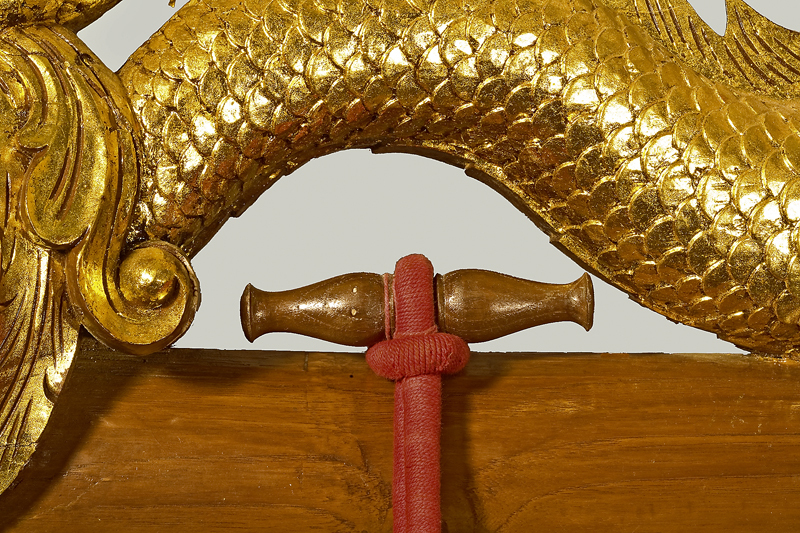 Mallet (tabuh) with a long handle and heavy, thick red cloth padding on one end wrapped in red cord. 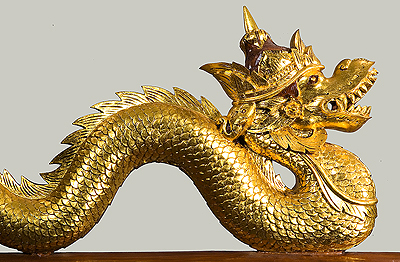 NMM 9919. 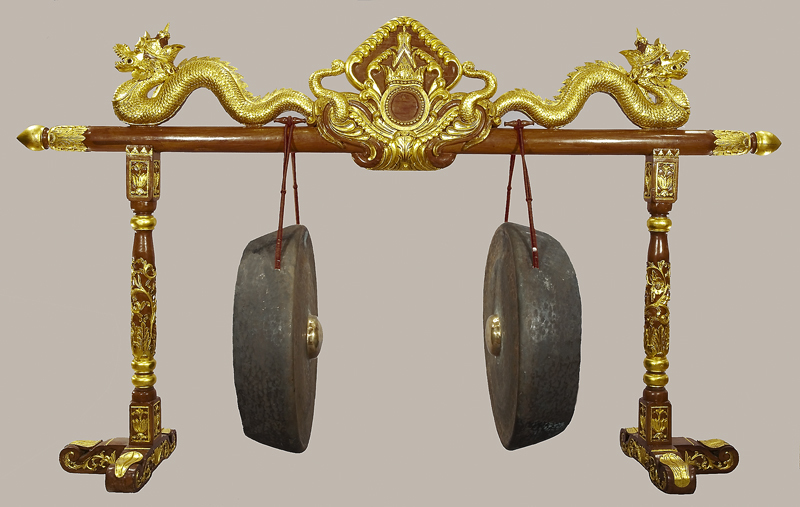 Gong Ageng in Laras Pelog. Large bronze gong. 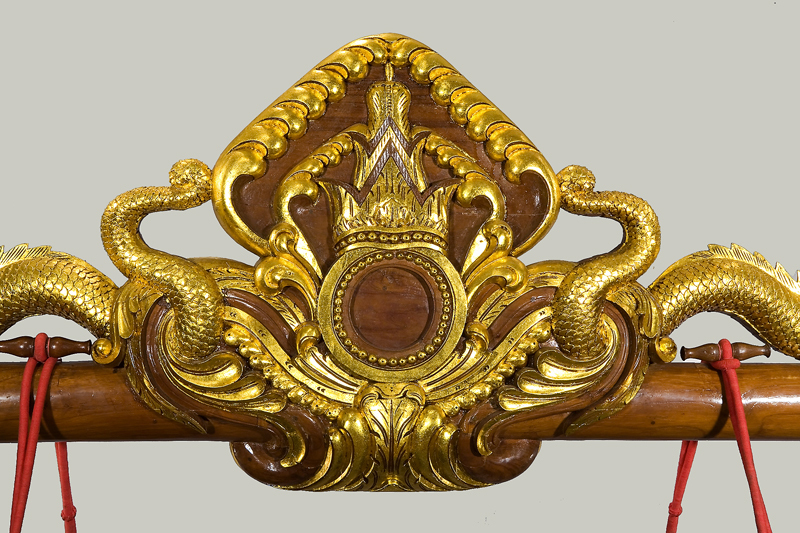 Diameter (backside): 82 cm. Three-piece stand shared by 9918. Mallet (tabuh). Function: The gong ageng is considered the father or master of the gamelan. This particular gong is treated with great respect, including the offering of flowers and food during performances and ceremonies. 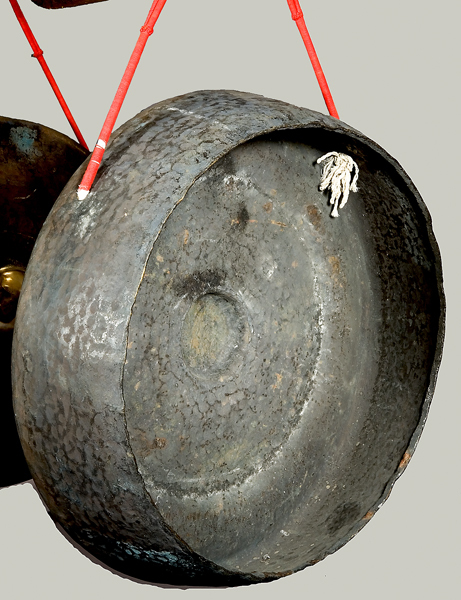 Music usually begins and ends with the gong ageng. 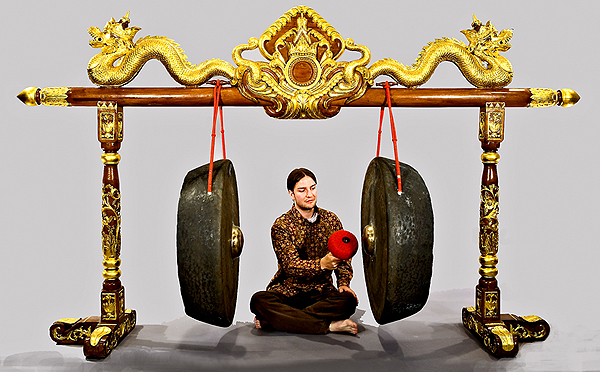 Playing technique: The gong ageng is played by hitting the node of the instrument with the soft end of the mallet.